Rabiu Kwankwaso, a chieftain of the All Progressives Congress who is increasingly becoming estranged from the ruling party, has said President Muhammadu Buhari will be defeated in 2019. He identified the Peoples Democratic Party as the most potent opposition platform capable of defeating the incumbent in the upcoming presidential election fixed for next February, and swiftly added that he is the suitable candidate to fly the party’s flag to victory. “I’m a free man now and available to try my luck elsewhere but I know that PDP is the biggest party and as long as they follow democratic principle, Buhari will easily be defeated, but if they handpick and force any candidate on the party, they will fail,” Mr Kwankwaso told Dele Momodu in an exchange published Saturday. Mr Kwankwaso, a serving senator and former governor of Kano State, often claims credits for helping Mr Buhari secure 1.9 million votes in the state. He also helped Governor Umar Ganduja, his deputy while he was governor, to power in the 2015 elections. Mr Kwankwaso’s attack against the APC comes a few days after he shunned the party’s national convention in Abuja. The crisis was a fallout of his long-running political battle with Mr Ganduje, which had repeatedly turned deadly when their respective supporters clashed. He turned up at the Abuja home of Atiku Abubakar the night of the convention, fueling speculation about his readiness to dump the ruling party for the major opposition tent. During the week, he travelled to Ekiti to meet Governor Ayo Fayose, arguably the most vocal PDP governor. He was reported to have backed Olusola Eleka, the PDP candidate in the upcoming governorship election in Ekiti, against Kayode Fayemi, his major challenger and candidate of the APC. Mr Kwankwaso served as defence minister and elected Kano governor on the platform of the PDP, but joined then-newly-formed APC in 2013 as part of the renegade ‘newPDP’ bloc. But in recent months, he has been among top ‘newPDP’ bigwigs finding it difficult to remain in the APC, amidst rankles about marginalisation. 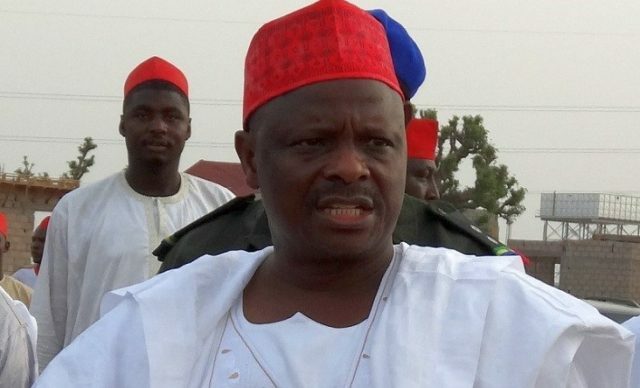 Although talks are underway by the APC to broker a political accord that would allow Mr Kwankwaso and other aggrieved members remain in the party beyond the 2019 elections, the latest statement from the politician indicates he has all but left the ruling party, even though some party members still believe he is one of them. “PDP needs someone from the 3k States, Kano, Katsina and Kaduna to win the next election. That’s where the votes are. It would be difficult to win if they pick someone from any other zone…,” Mr Kwankwaso told Mr Momodu of his presidential chances. Mr Kwankwaso said he was set to join the PDP, but even then the party would also run into trouble if internal democratic guidelines are not followed in the award of its 2019 presidential ticket. “I can guarantee them that I will beat Buhari if given the chance,” he said. Mr Kwankwaso might be the biggest politician to decamp from the APC since Mr Abubakar left the party last November on the same anger of marginalisation and poor governance. Other bigwigs like Senate President Bukola Saraki, Speaker Yakubu Dogara, and some senators and governors who identified as ‘newPDP’ elements in the APC are also reportedly on the verge of abandoning the ruling party, although their individual plans remained unclear. When Mr Abubakr left the APC last year, he said the scale of injustice in the party would compel others like him to chat a new political course, a claim the party rejected at the time. Another visible politician likely to dump the APC any moment is Shehu Sani, a serving senator from Kaduna State. Bolaji Abdullahi, a spokesperson for the APC, did not immediately return requests for comments. 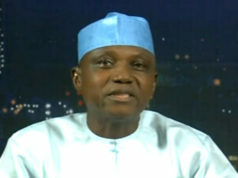 The party’s chairman in Kano was also unavailable and a text message sent to him did not deliver on Saturday afternoon. But party strategists said Mr Kwankwaso’s comments were hardly unexpected, especially as he had removed himself from the party’s activities, including failure to participate at the recent convention. Mr Akanji downplayed the threats of Mr Kwankwaso, whose rights to association he respects, but said his exit would have no adverse effect on either the party or Mr Buhari’s political chances. There are concerns that a mass exodus of bigwigs could leave the ruling party fractured going into 2019, a crack which some analysts said would be near-impossible to survive. 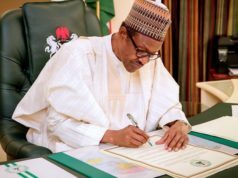 Mr Buhari has declared readiness to seek re-election, and he is seen as a shoo-in for his party’s ticket. While Mr Kwankwaso is considered politically-relevant in Kano and possibly other areas in the North-west, his ability to appeal to the larger populace in a diverse Nigeria would be keenly watched by political observers.